Where do we get our energy? Oil? Gas? Chocolate? In this terrific science story, the sun tells its story of how all energy on earth comes from its light. It is a motivating springboard into the study of photosynthesis, energy, and sunlight. The Sun Tag Game: Cut out each card. Distribute randomly among your students. The student holding card # 1 reads his question. The one who has the answer reads her answer and then reads her question. 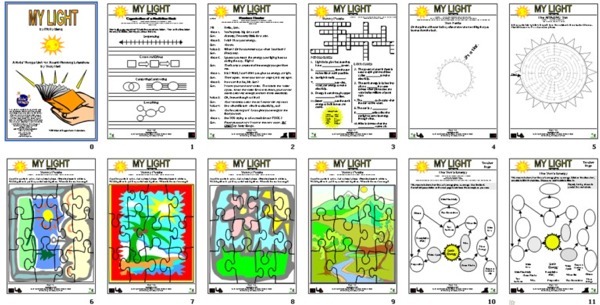 It is a great review tool for mastery as well as a lot of interactive fun! 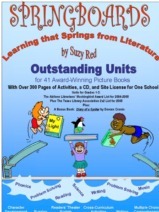 Includes: An interactive word web for the water cycle! 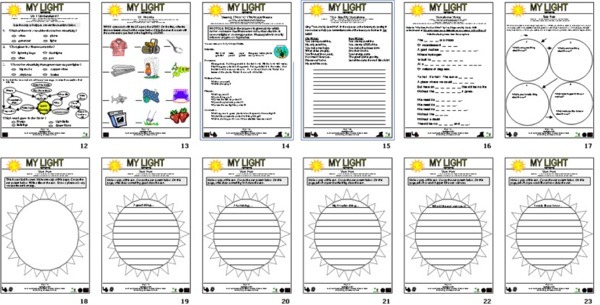 Templates for writing your own book about the sun! 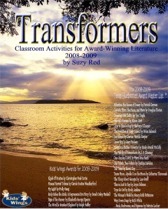 My Light is also in the Kids' Wings Transformers a 24-Unit Collection for Grades 3-7 with 28 literature guides, 500 pages of activities, 6 recorded songs, and 9 Jeopardy-type games. The clearance sale enables you to the the 24 units for about $1 each! When you receive your spiral-bound book with a CD in its back pocket, and a site license for one school, you will agree that this is the best buy you've made in years. Available while our supply lasts! Thank you, Gitpicker Harry Todd (Music by a Gitpicker) for allowing us to use his version of You Are My Sunshine by Jimmie H. Davis and Charles Mitchell!